Everyone has heard about Toad alarms at some point due to there extreme advertising in the market place and there very loud sounding sirens. With full onboard locking and the perfect size alarm ECU this can really be hidden well within the vehicle for the best security. comes with very nice and neat ultrasonics for the sleekest of installs. 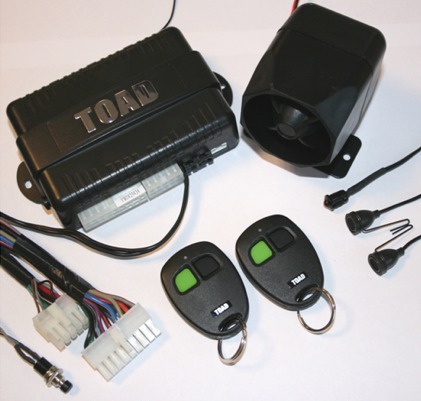 Full onboard locking and 2 button soft touch remotes with extra outputs which can be wired to anything you would like to trigger on the vehicle like the headlights or radio. 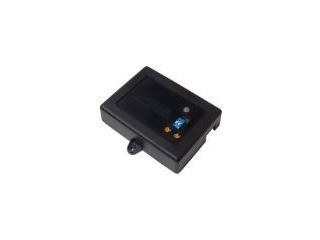 The Cat 1 AI606 is a very good Thatcham Cat 1 system offering water resistent remote control fobs and a twin immobiliser with a max current of 18amps and the famous multi-colour led which makes getting your head around the system set up much better and easier. 2 stage unlock and remote command remote full closure as standard, when the alarm is installed it can be wired to boot pop and also vehicle lighs if you want to turn them on when trying to find your car or van in a car park. back up 120 db siren which is very loud to alert people around the vehicle and full onboard locking with Toad window stickers. 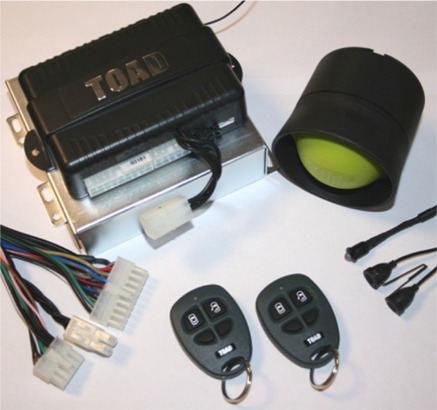 Toad’s Dual Zone Microwave sensor will detect movement to the sides of the vehicle and make a loud chirp once it picks up movement which is perfect to stop a break in before it happens and this will also protect inside the vehicle which is good because you don’t have to have ultrasonic sensors on display. Its the most reliable form of sensor due to it being the latest radar technology which has been around for years and has been tested to the extreme. 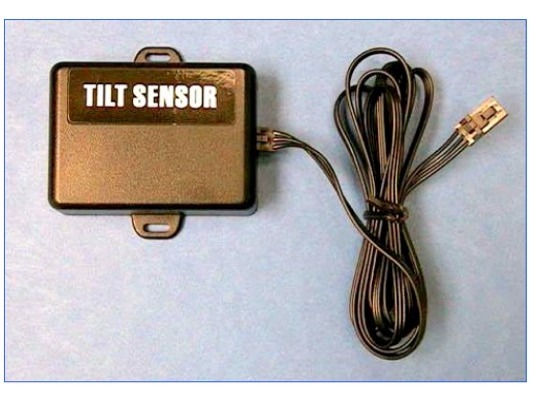 This tilt sensor will detect any tilting of the vehicle to protect them expensive alloy wheels. It will trigger the alarm system when movement is detected. it doesn’t matter even if your car is parked on a curb it knows how the car is parked when arming the system and any jacking up of the car will trigger the alarm.